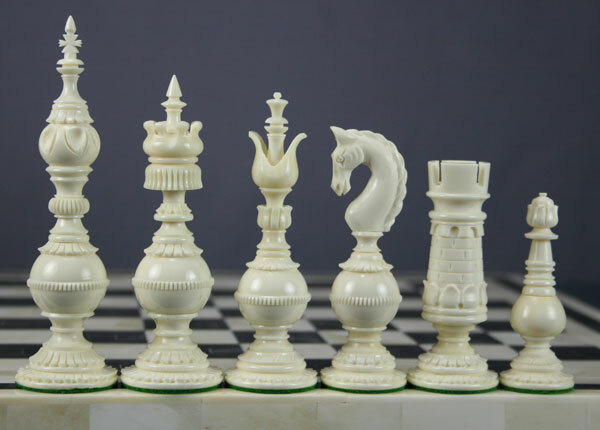 The major event in the British Chess Calendar each year is the British Chess Championship. This first started in 1904, taking over from a more erratic series of events dating back into the 1880’s. It has happened almost every year since, excepting the war years and a small number of other occasions when the timing has clashed with a major event elsewhere. So the Championship has a history and standing which lifts it above all other home congresses. In the early years it was simply a gathering of the very best of the British players of the time to determine a British Champion. The list of winners reads as a Who’s who of British Chess. Too many to name them all, but some of my heroes and sources of inspiration from this list are Tony Miles, Jonathan Speelman , John Nunn, Bill Hartson and of course Nigel Short who also became World Championship finalist aganist Garry Kasparov. 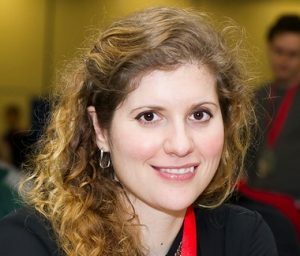 That event provoked a huge explosion in the popularity of chess in the UK. Since then there was a steady decline in popularity until relatively recently when happily the numbers have been climbing up and up. 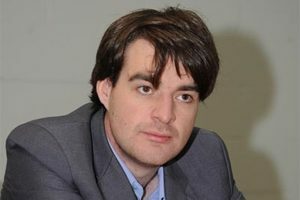 This expansion encouraged the British Chess Championship to evolve into a much more complex collection of twenty one championships, including ones for various age ranges of junior from under 8 upwards. The top event though still remains the Open to determine the British Champion. And this year for the second time it was Gawain Jones, a brilliant young Grandmaster, who is having a very good season. Gawain Jones British Chess Champion. The Ladies Champion is again Jovanka Houska, a multiple previous winner. Until recently, local players had not featured amongst the winners, then in 2014 the top event was won by Jonathan Hawkins GM, who played for Consett and later Leam Lane in the Northumberland League with considerable success. A terrific achievement which he repeated in the following year. He was 6th this time. This year, the Congress was held in LLandudno and we had another winner. Yichen Han, who plays for Forest Hall Chess Club, won the Under 11 title by winning all 7 of his games, a fantastic result. Yichen arrived at the Forest Hall Club a year ago from Holland where he was taught to play chess using the brilliant Dutch System, which I have used as a basis of the last two articles, and will follow up next week. Despite his youth, the club accelerated him through their league teams and he ended last season playing in their A team and contributed towards them winning the First Division. Clearly, he is an exceptional talent, but he is also a very likeable boy and a great credit to his parents who have instllied him with good manners and an excellent attitude. Also, contributing to a brilliant congress for the North East contigent, there was an excellent result for the equally personable 13 year old James Moreby (Gosforth Chess Club) who scored 4.5 in the top event. This is a terrific score against the highest quality adult competition the country has to offer. There were a number of other very notable successes Danny Gormally GM from Alnwick won a grading prize in the Open, Ron Plater from Forest Hall finished 2nd in the Under 160 tournament, Paul Dargan (Tynemouth) was second in a very strong weekend. Collectively, these easily represent the best results by players from our region for many years and is indicative of the rising standards in the area. With many more strong juniors emerging and strong senior players too enjoying a better competition locally, the future looks very bright. For anyone interested in chess who wants to learn, or improve their game, and is not attached to any club, I strongly recommend you join one. You can find a list on the excellent Northumberland League website. The different clubs all have their merits. You will find one which meets your needs and has an atmosphere you enjoy.